22% of teachers hired between 2013 and 2015 were not teaching in Arizona after one year. 42% of Arizona teachers hired in 2013 left the profession within three years. 52% of Arizona charter school teachers hired in 2013 left within three years. We asked Maricopa County teachers to define the factors that contribute to teacher turnover and retention. The following data was collected. 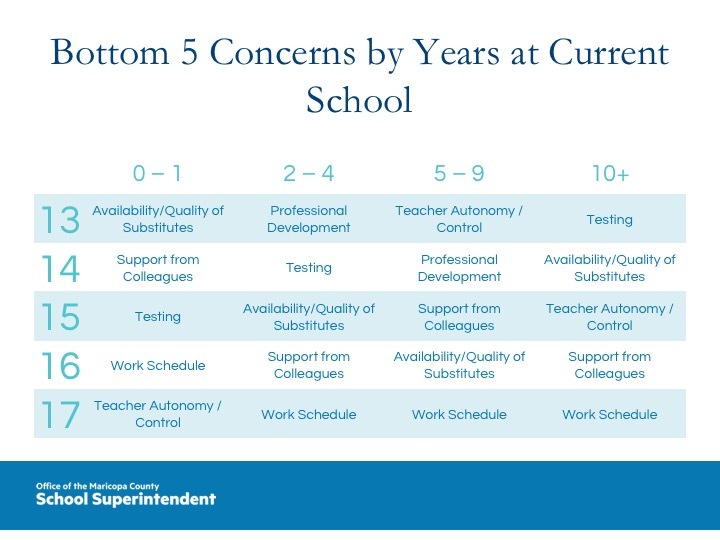 School and district leaders can use this data (or their own) to understand how best to address teacher retention. 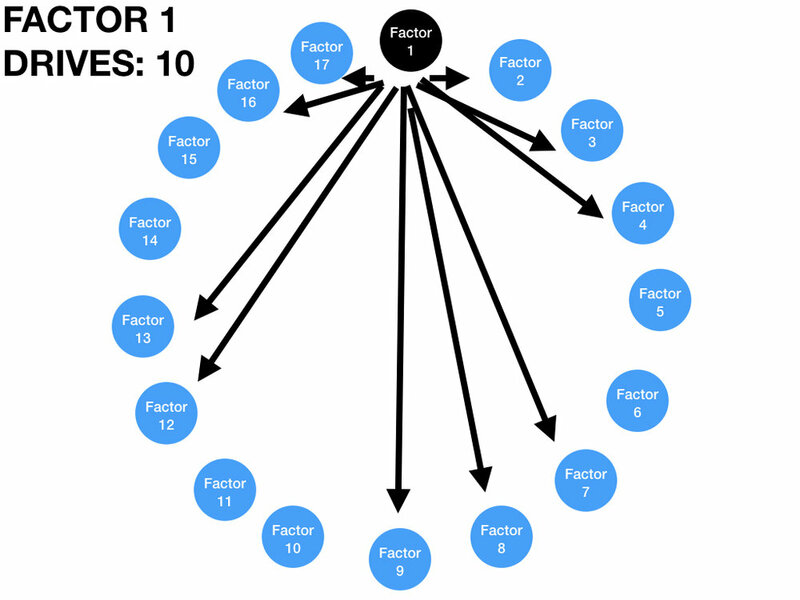 However, rank ordering factors is not always the most effective way to address the problem. Often a few factors can impact several more. Determining driving factors is critical. A Interrelationship Digraph is a simple tool to determine the drivers that will most impact teacher retention. 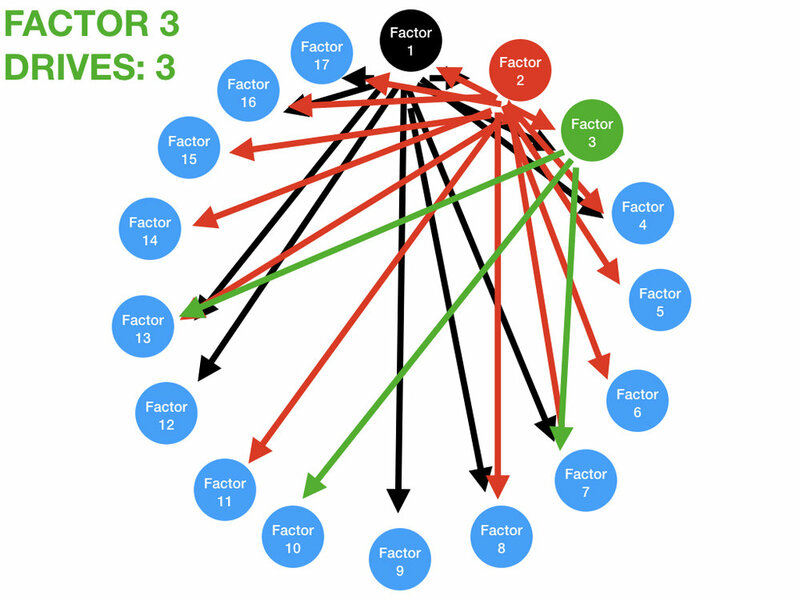 It helps analyze the links between each factor and identify which factor drives the others. For example, let’s say factor one is professional development. It may be determined that it impacts, or drives factors such as instructional confidence and teacher evaluation. Arrows would then be drawn from professional development to instructional confidence and teacher evaluation. The process is illustrated below. 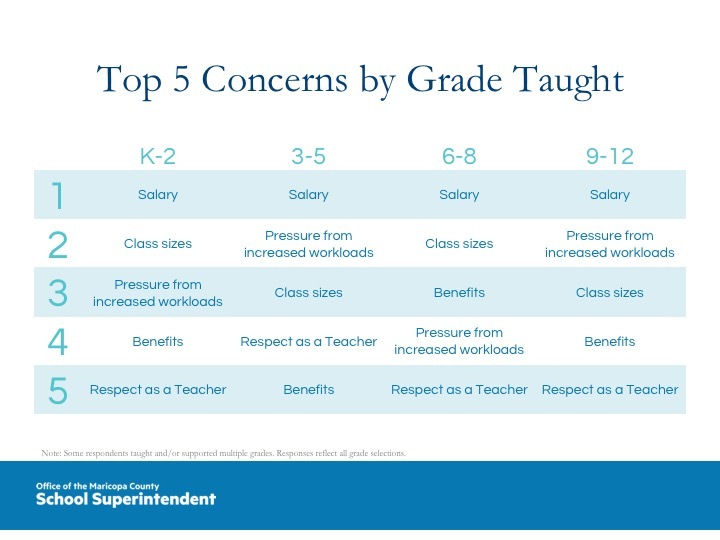 It is important that teachers represent a majority of those that are determining drivers. Draw arrows from one factor to all other factors that it influences/"drives". Count the number of arrows. Continue drawing arrows from each factor to those it drives. Use different colors to make counting easier. Continue to draw arrows and count the drivers. Identify the top three drivers. These are the factors in which to focus. For more information or to request free facilitation services, contact us at superintedent@maricopa.gov.